Recycling steel will make a positive impact on our environment. July 27, 2017—-In June, Acosta mining company opened the first new mine in Pennsylvania in many years, stating that 2/3 of the coal mined would be used in steel production. According to the Pittsburgh Post-Gazette, “It remains to be seen to what extent the coal industry can rebound……the industry will continue to contend with cheap natural gas and clean energy.” Not a mile from the Acosta Mine, clean energy is found! Dozens of wind turbines line the ridges! Can we produce steel without coal? According to http://www.letstalkaaboutcoal.co.nz, “Making Steel Without Coal”, the answer is no, not at the scale we need at the present time. We produce about 1.6 billion tons of steel worldwide each year. Half of this is produced in China. To produce 1 ton of steel, .8 tons of coal is used, emitting 2.1 tons of CO2 into our atmosphere. Producing steel and iron accounts for approximately 6.7% of CO2 emissions worldwide. This is a major contributor to climate change! Steel making contributes to climate change. In New Zealand ironsand, a type of sand which has a heavy concentration of various metals, is used instead of coal to produce steel, and New Zealanders have improved on their steel plants by using by-product heat, a method of using the waste heat from steel production. This use of waste heat lessens the contaminates that are put into our atmosphere. Some ironsand is exported to other countries for steel production, but the amount available is not significant. The most common method of steel production uses coke, a bi-product of coal. The average blast furnace used to make steel needs 800kg of coal to produce a ton of steel! Recycling steel for new products uses 50 times less coal! The average electric arc furnace (used in recycling steel) uses about 16kg of coal. We can reduce the amount of CO2 in our atmosphere by recycling steel products that are no longer used. If our government doesn’t support clean technology, then we need to clean up our own back yards to counteract this lack of environmental support. We, as individuals, can make a conscious effort to recycle, not only packaging materials, but steel. Making steel causes pollution, contributing to global warming. 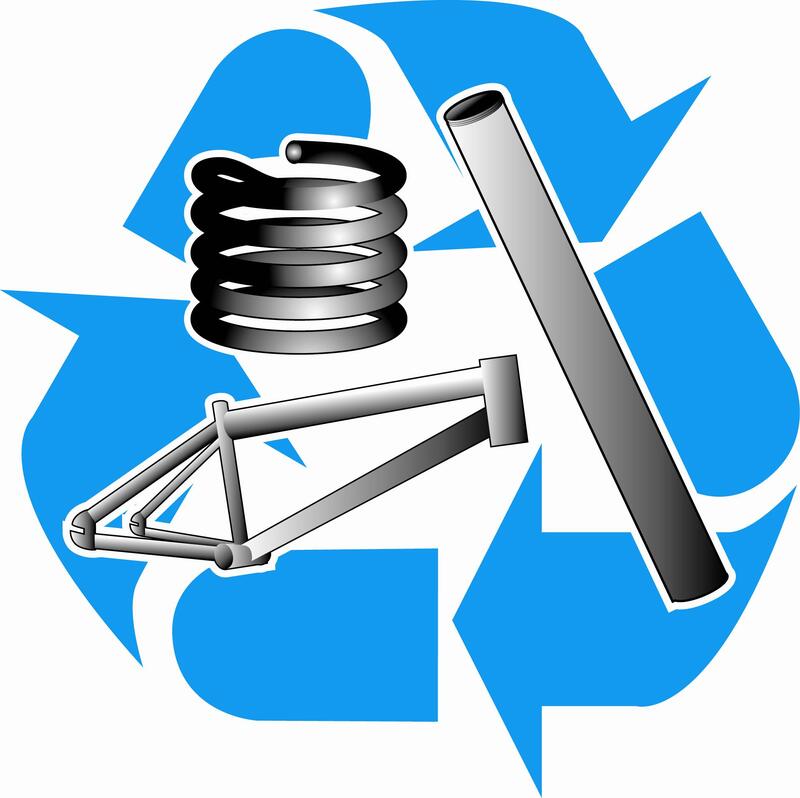 You can recycle many things that may have seen better days, such as bikes, broken toasters, and cars or car parts. By recycling steel, you are doing your part to reduce the need for new mined minerals. In fact, two of every three tons of new steel comes from steel scrap. Recycle Steel: How You Can Help! 7. When you buy steel, you’re always buying recycled. 8. More than 14 million cars in North America were recycled in 2006. 9. In 2006, the steel industry recycled enough steel from old cars to produce nearly 13.5 million new ones. 10. One scrapped car produces more than four steel utility poles. 11. 95 percent of the steel taken from commercial construction demolition sites was recycled and made into new steel products in 2002. 12. It takes more than 40 trees to build a wood-framed home. A steel-framed home—eight recycled cars. 13. All 99 pounds of steel in the average major appliance can be recycled to make new steel products. 14. Appliance motors are made from steel. 15. Steel comprises approximately 75 percent of all major appliances. Do your part! Prevent old appliances and steel based products from taking up space in our landfills, where they will still be sitting thousands of years from now! Categories: Pollution, Renewable Resources, Sustainable Education | Tags: #climatechange, #recycle, #recyclesteel, #renewableenergy | Permalink.